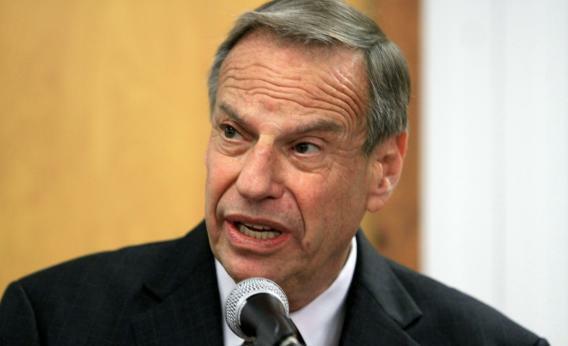 Bob Filner resigns: He’s not a sexual harasser. He’s the victim of a lynch-mob coup. He’s not a serial sexual harasser. He’s the victim of a bloody lynch-mob coup. Mayor Bob Filner of San Diego at a press conference regarding his sexual harassent accusations, July 26, 2013. Have you heard the news? On Friday, there was a coup, a lynching, and a bloody shooting. And all of these atrocities were perpetrated against one man: Bob Filner, the outgoing mayor of San Diego. But those stories are just history. What Filner is facing now is a real lynch mob. In the past two months, more than a dozen women have accused him of sexual harassment or aggression, including his former communications director, his former deputy campaign manager, a retired admiral, the president of the San Diego Port Tenants Association, a dean at San Diego State University, the director of government and military education at San Diego City College, a school psychologist, and a vocational nurse. The allegations include groping, headlocks, choke holds, blocking women from leaving his office, using visits from lobbyists to bargain for sexual favors, and preying on women at an event for sexually abused military personnel. How exactly did this bloody assault unfold? The San Diego Union-Tribune has the whole grisly story. First, a longtime Filner supporter and former aide, having received “credible evidence” of sexual harassment, sent him a private letter asking him to resign. That didn’t work, so she and two other longtime supporters held a press conference urging the mayor to quit. Then Filner’s fiancée, having noticed other sexual misbehavior, ditched him and called for his resignation. Then Filner’s former communications director sued him for harassment. The assault culminated in a coup. If you’ve been watching events in Egypt, you might be familiar with how a coup works. Last month, the Egyptian army suspended the constitution, surrounded the president’s palace, took him into custody, cut him off from outside communications, and arrested the leaders of his party. This month, Egyptian security forces raided sit-ins and killed hundreds of protesters along with dozens of people in custody. Still, the country’s cowardly military rulers refuse to call their seizure of power a coup. In Filner’s case, the coup was devilishly subtle. First his top staffers began to quit. Then the publisher of a local gay weekly launched a campaign to recall the liberal mayor from office, collecting more than 20,000 signatures. Right-wing politicians such as House Minority Leader Nancy Pelosi and Sen. Dianne Feinstein publicly called on Filner to resign. The final blow came from the city council, which, in exchange for the mayor’s resignation, agreed to provide him with legal defense against harassment lawsuits and pay for any settlements with his accusers. Technically, of course, what happened to Filner wasn’t a coup or a lynching. Nobody pointed a gun at him or pulled a trigger. He’s just another ordinary guy who had to give up his political career after being falsely accused of sexual misconduct by 18 women. But why get all picky and literal? Why fuss when people who live in wealth, privilege, and modern comfort call feminists Nazis, equate taxation with slavery, describe their confirmation hearings as “high-tech lynchings,” or claim to have been “crucified” for their anti-gay views? Because the insult is bigger than its target. When you call feminist Nazis, you cheapen the Holocaust. When you equate taxation with slavery, you belittle the suffering of slaves. When you describe your bad PR week as a crucifixion, you mock the people who died on the cross. If you ever get around to apologizing to all those women, Mr. Filner, start thinking about the victims of racial and political violence you insulted on your way out. They actually suffered. All you did was sin.